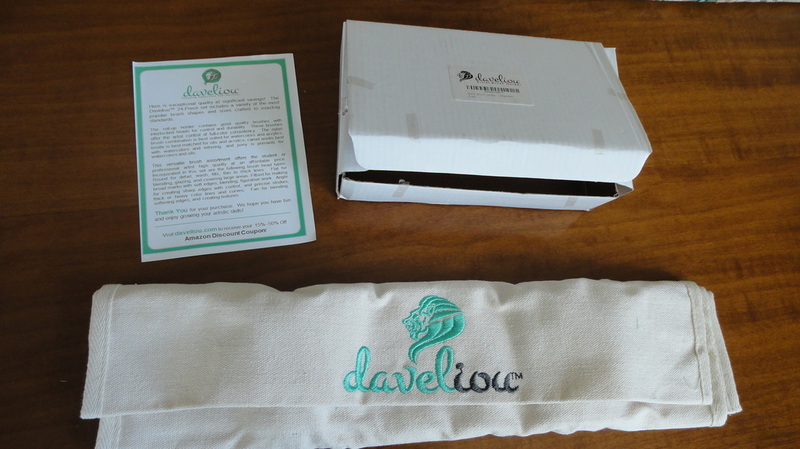 A reviewer's sample was received for test and evaluation purposes. I have always been fond of fountain pens; they improve my penmanship and I tend to write very differently with a nice, expressive nib. The only time I tried a dip pen was many moons ago, but the quality was nothing like these two beautiful hand-made pens from Daveliou. 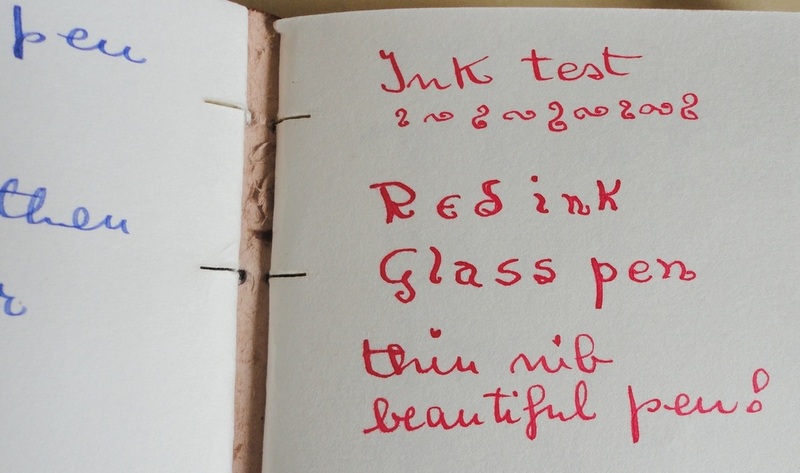 Their balance in the hand makes writing with them delightfully pleasant and effortless. 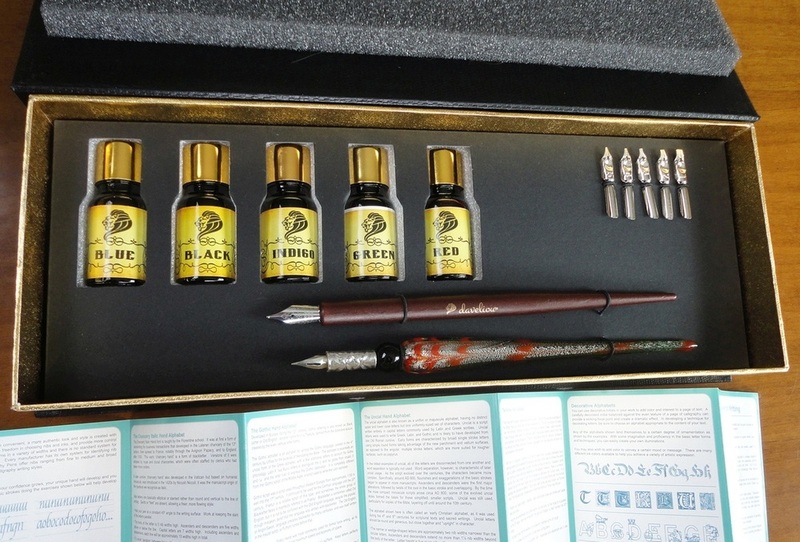 The presentation box is lovely; the ink bottles are embedded in foam and the holders and spare nibs are held firmly in place with elastic loops. The wooden pen (made of birch) is plain in design but feels great to hold and there is the option to change the nib to suit your mood and project. 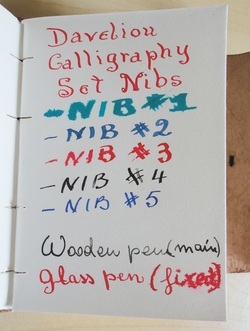 The extra nibs are numbered from 1 to 5, with #1 being the largest and very wide indeed; they offer a full range of options for calligraphy. The glass pen is absolutely gorgeous and visually stunning. The one I was sent has a fixed nib, but in the more recent sets, the glass pen has been upgraded to also accept different nibs. 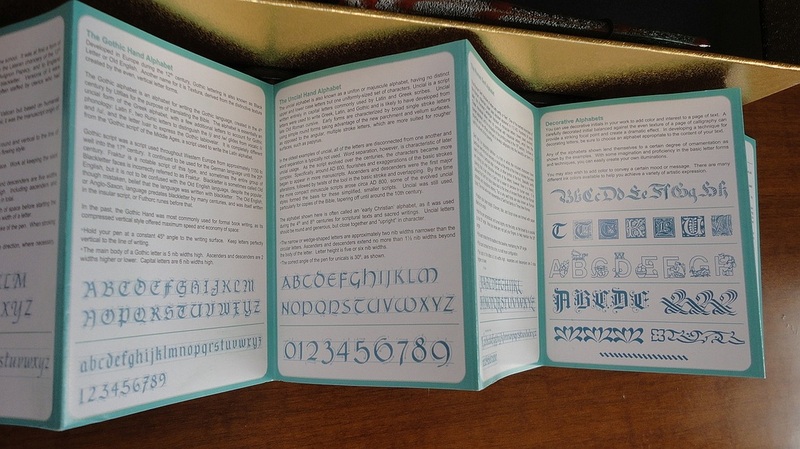 The very informative booklet offers tips on how to improve or develop your penmanship, and gives interesting historical background and examples of some of the most popular calligraphy styles. In response to suggestions from us early testers, Daveliou have now included tips for beginners like me about the kit components including the correct technique for changing nibs. I found removing the original nib a bit difficult the first time, and was afraid of damaging it since it is delicate, but in the end a firm tug did the trick and changing nibs became gradually easier. Also I discovered that to “prime” the nibs the tips should be passed quickly over a flame a few times, just enough to melt the protective coating, but not so that the metal becomes red. Finally, since I know that ink and paint are affected by changes in temperature and pressure during shipping, I removed the plastic stoppers from the ink bottles with great care, using a paper tissue and over the sink, just in case. As is painfully obvious from my photos, I have no experience of calligraphy and, just trying out the pens and inks, I can see that a fair bit of practice is necessary to achieve good results, but it is a fascinating skill that I will be pursuing. 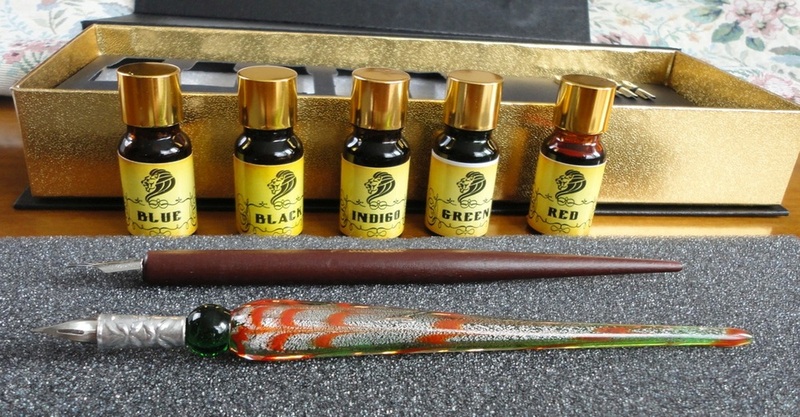 If not for yourself, this beautiful set would make a delightful gift. UPDATE: My original review has been revised to reflect all the improvements made to this calligraphy set since my initial testing of the sample. Many years ago, I used to amuse myself copying and re-interpreting paintings I admired. Then life got so busy that my oil paints got packed away. Just recently I dug up my remaining supplies and found them sadly lacking. 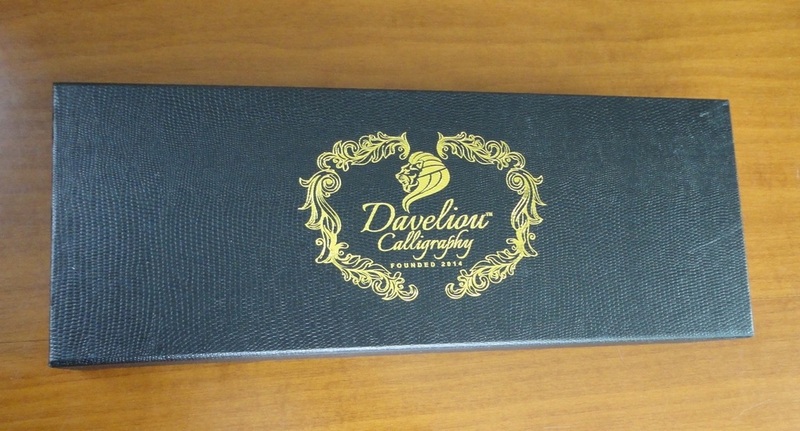 By some happy coincidence, Daveliou, a specialist manufacturer of art supplies, asked me to try out and review some of his new products. I am delighted to say that the art supplies I received are of the best quality and perfectly suitable for both beginners and established painters. 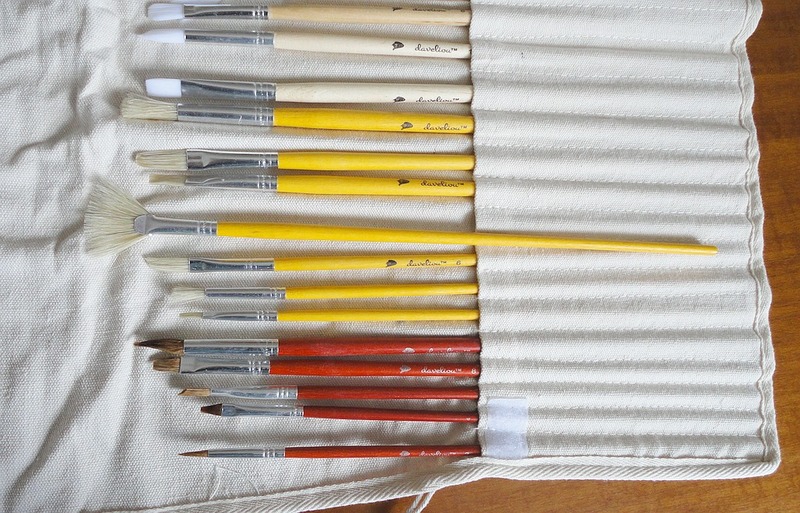 This set of 24 assorted paintbrushes, housed in a lovely purpose-made canvas holder, would make a fantastic gift for a budding painter, or for someone like me, who is taking up painting again after a long break. 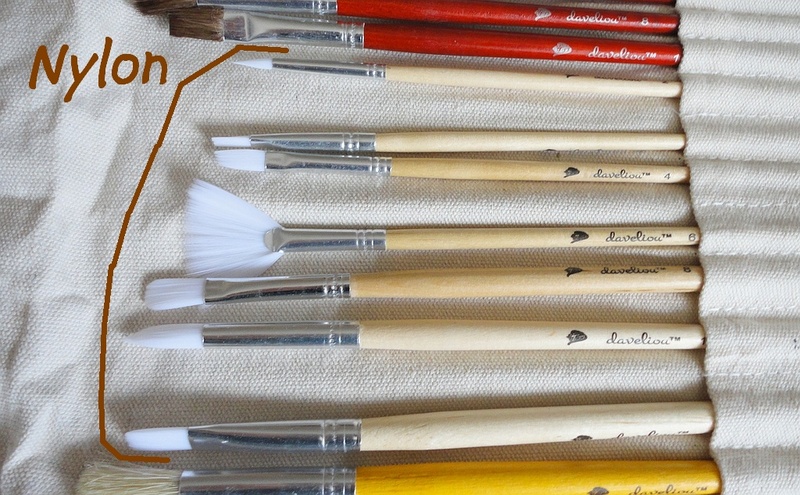 The assortment includes all the basic brush shapes (flat, round, angle, filbert and fan) in the most popular sizes from 2 to 12, in four materials: pony, camel, nylon and bristle. There is everything you need whatever your medium (oils, acrylics or watercolours). 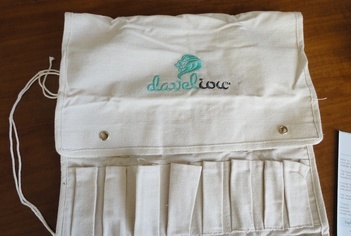 The canvas carrier has 24 pockets sewn to precisely accommodate the brushes supplied. 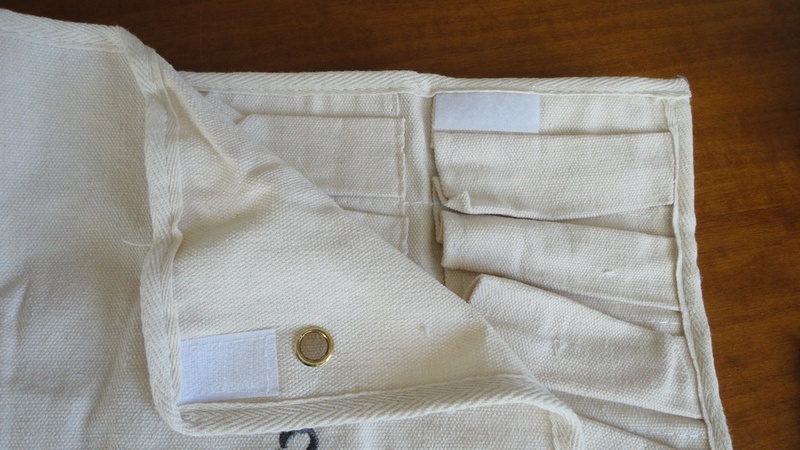 A fold-down flap protects the tips and can be secured with Velcro tabs, after which you roll the whole thing up and tie it with the attached double string. What an excellent idea! 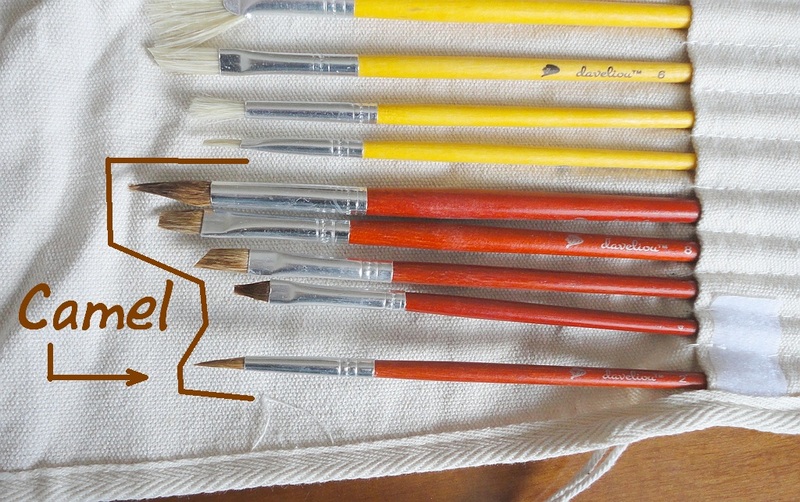 My previous arrangement of dropping the brushes bristle side up in an old coffee can was okay for the drying period and for short-term storage but useless for carrying my supplies any distance. Invariably, something would fall and go missing. Boxes and plastic bags were messy and destructive, so this tidy and organized solution is one that makes a lot of sense. 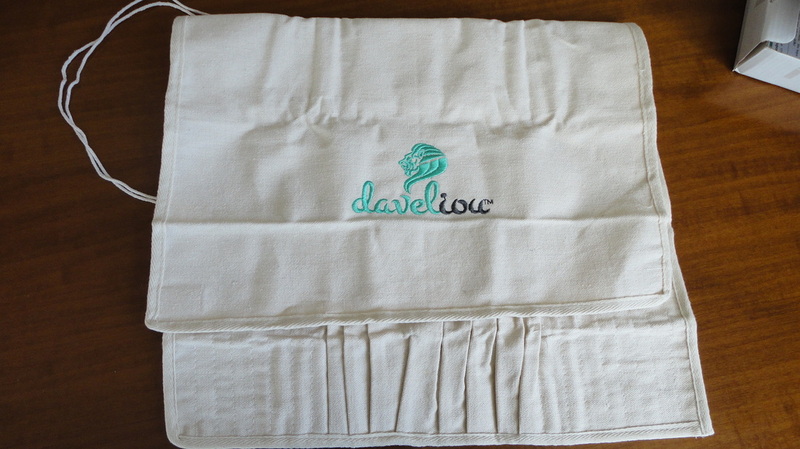 Daveliou sell a similar paintbrush carrier minus the paintbrushes. 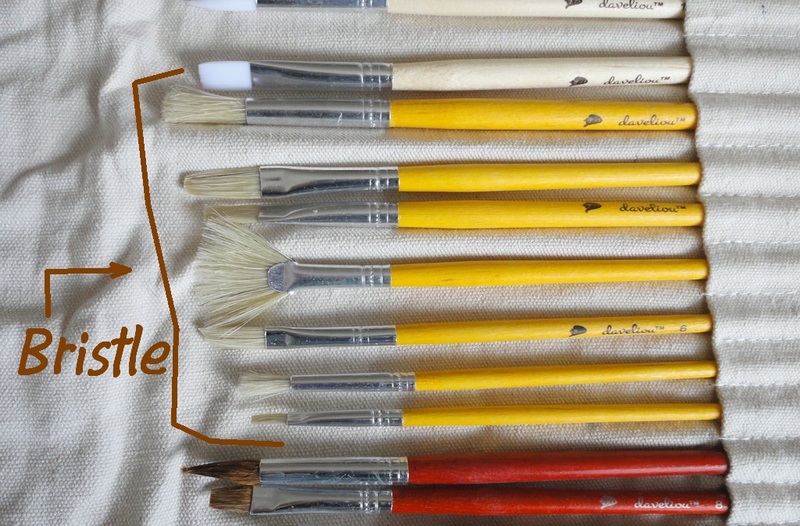 It is very similar in materials and construction, except that the 24 slots are of different sizes, which is very convenient if you like to use very large paintbrushes and palette knives with their bigger handles, as the 8 central pockets are quite a lot bigger than those in this holder. 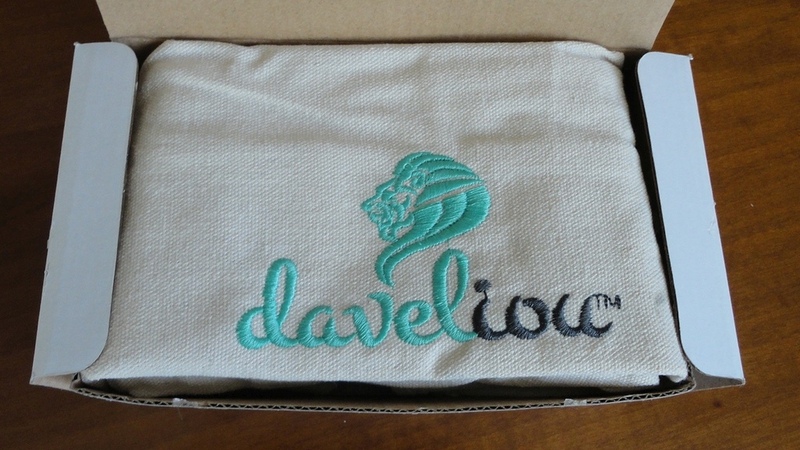 Apart from the clever design, this paintbrush carrier is quite beautiful, made of sturdy but supple cream-coloured canvas, nicely finished with matching canvas binding and stamped with the distinctive Daveliou lion logo. 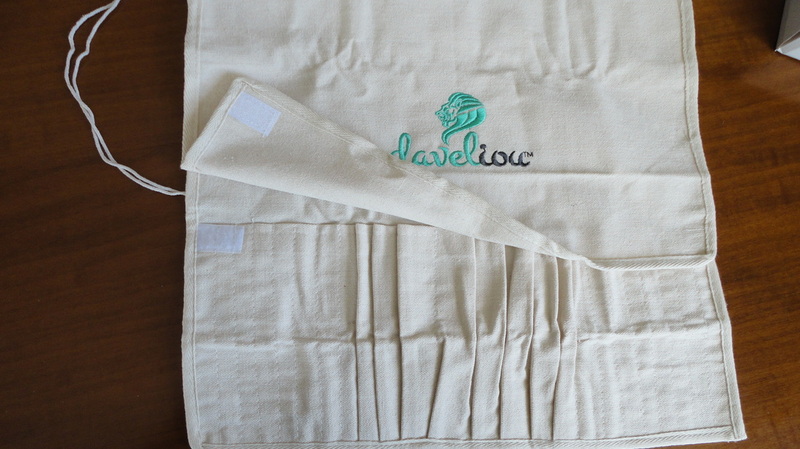 As a bonus, the fabric is washable. 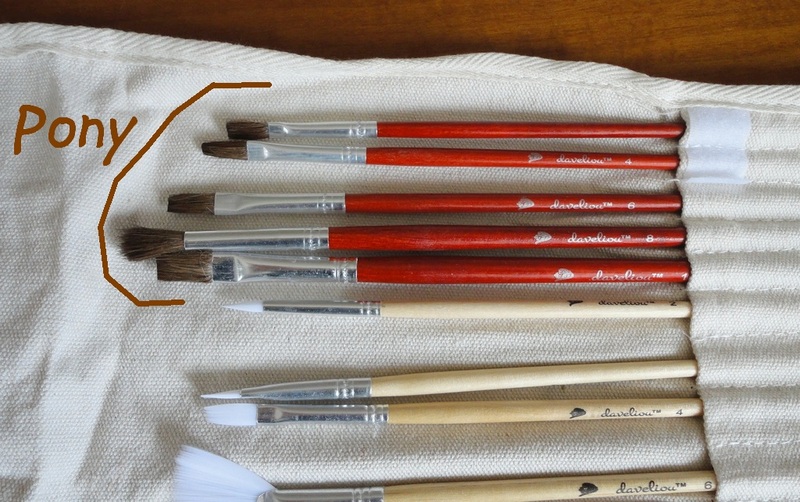 In use, the brushes feel great, the wooden handles are smooth and well finished but don't appear to have been varnished. Some of my older brushes have a thick glossy finish which invariably flakes off. The ferrules hold the bristles tightly so that there is no shedding and I can paint with confidence. This set sells for an amazingly low price and it's unbeatable value for what you get. 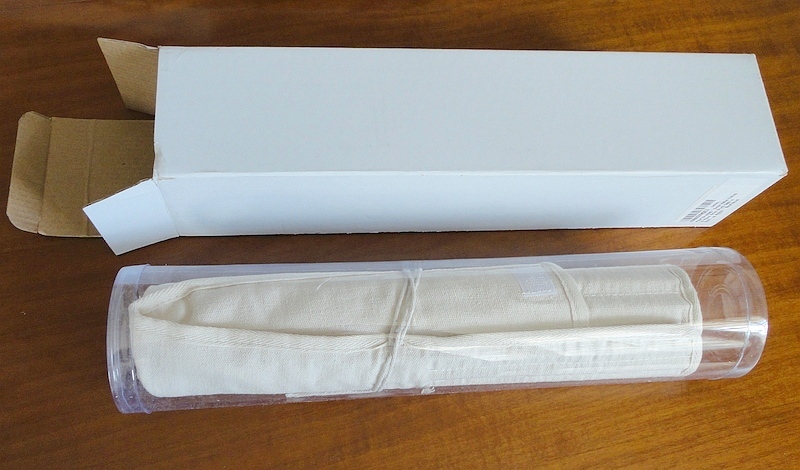 I have just started painting again and, when I was offered this gorgeous canvas holder for evaluation and review, I was delighted to accept. 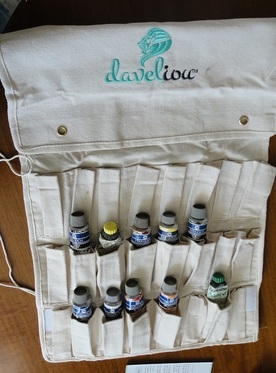 Anyone who needs to carry painting supplies in an organized and secure way will love this holder. I keep my art supplies in an outhouse, together with all the messy stuff I don't need every day, and I find these carriers incredibly convenient even when I'm just gathering all my stuff together to go to the chosen spot for my creation (Davelious also sell a similar holder for smaller tubes and one for brushes). 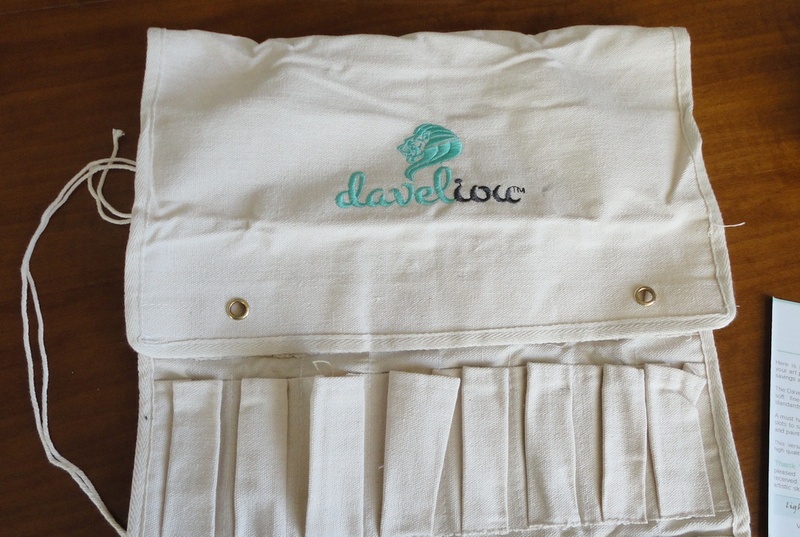 Solidly and cleverly made with three rows of eight pockets each, big enough to hold up to 24 large (40 ml) tubes of paint, this holder has two Velcro tabs and a double string to facilitate closing the roll. The canvas is thick and tightly woven so that paint splotches don't seep through, ruining you car or your clothes as you carry the roll. I really love the two eyelets at the top. If your easel is so equipped, you can suspend the holder from a suitable hook. I have run a long piece of string through both eyelets so I can hang it almost anywhere in a more balanced way. 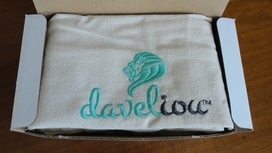 The quality of manufacture is surprisingly good and the embroidered logo is a beautiful touch. And did I mention the ridiculously low price? 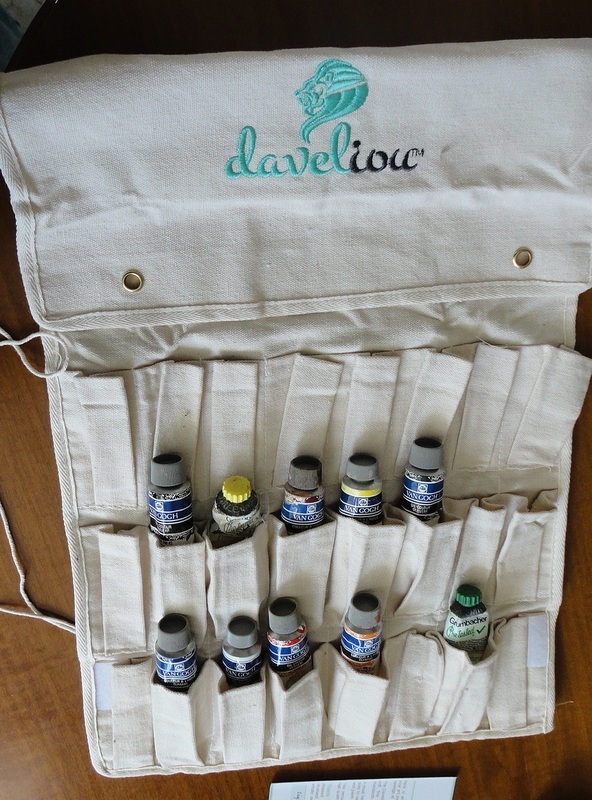 This would make a thoughtful and pretty gift for the painter in your life, whether novice or professional. A very similar holder is also available, made to hold smaller 12 ml tubes. After many years of artistic inactivity (at least of the painterly kind), I have recently dusted off my oil paints, turps and palette, and unearthed an unused canvas to abuse. 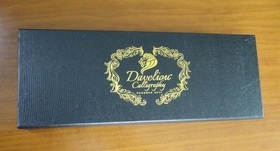 Coincidentally Daveliou, a specialist manufacturer of art supplies, proposed some of his new products for my evaluation and review. Talk of a happy coincidence! It only took one look at the Amazon product page to see that these are products of the highest quality. This particular paintbrush holder has been meticulously crafted in heavy-duty canvas fabric in a clever design, so that your favourite 24 brushes (and palette knives) can be tidily and comfortably slotted into individual pockets. You then secure the fold-down flap with the Velcro tabs, roll the whole thing up and tie it with the attached double string. Genius! Previously, storing and carrying so many brushes meant chaos, with a high possibilities of losing or damaging some of the brushes. With great attention to detail, 16 of the slots are narrow, 4 are medium sized and the middle 4 are quite large, so that handles of various thicknesses can be accommodated. 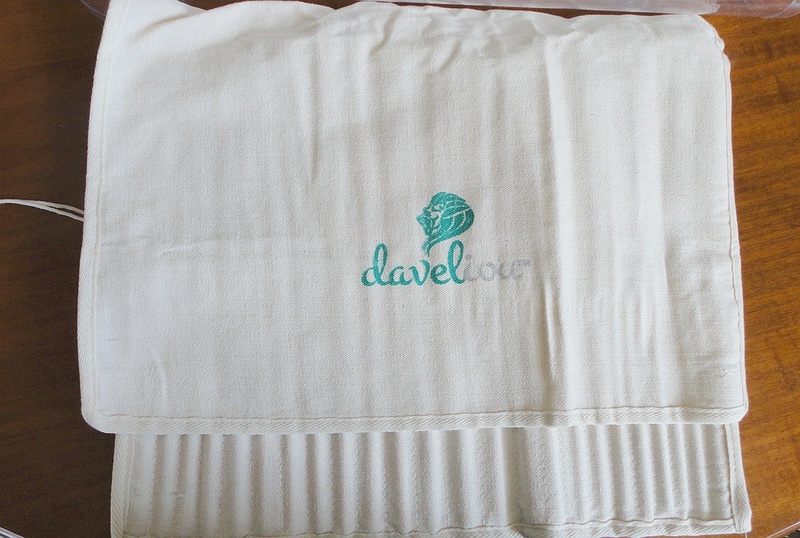 The empty holder can be washed easily to keep it looking fresh.